Sharon Walsh was a Dental Clinic Employee at Dental Clinic Employee. She lived at 825 Krieger Rd., Webster, Monroe, New York, USA. She was born circa 1956 at Auburn, Cayuga, New York, USA. She was born circa 1956 at Auburn, Cayuga, New York, USA. She died on 9 December 1977 at Ontario, New York, USA. Elizabeth (?) married (?) Walsh. [S11] 1910 United States Federal Census, online , Year: 1910; Census Place: Montezuma, Cayuga, New York; Roll: T624_928; Page: 3B; Enumeration District: 0049; FHL microfilm: 1374941. [S26] 1900 United States Federal Census, online , Year: 1900; Census Place: Montezuma, Cayuga, New York; Roll: 1013; Page: 10B; Enumeration District: 0034; FHL microfilm: 1241013. [S66] 1925 New York, State Census, online , New York State Archives; Albany, New York; State Population Census Schedules, 1925; Election District: 01; Assembly District: 01; City: Montezuma; County: Cayuga; Page: 7. Services for Mrs. Catherine Scanlon Murray, a resident of the town of Montezuma for more than 50 years, who died Friday morning at the home of a daughter. Mrs. George Walsh of Auburn. were held Tuesday morning at the family home. Minthne rd. town of Montezuma, and later in St. John s church. Port Byron. In-terment was in St Joseph s cemetery. Weedsport. [S182] Unknown author, Rochester Democrat & Chronicle (n.p. : n.pub., unknown publish date), MRS. CATHERINE MURRAY Auburn—Services for Mrs. Catherine Scanlon Murray, of Mint Line Rd., Montezuma, widow of William Murray, who died yesterday (Jan. 26, 1951) in the home of iher daughter, Mrs. George Walsh, 67 Vi Seymour St., will be at 9 a. m. Tuesday at the Murray home and at 9:30 a. m. at St. John's Chnrch, Port Byron Burial will be in St. Joseph's Ceme-tery, Weedsport Mrs. Murray, a, native of Ireland, had lived in Town of Montezuma more than 50 years. She was a member of St. John's Church, and of its Rosary and Alter Society. Surviving, are four daughters, Mrs. Edwin Hays, Mr*. 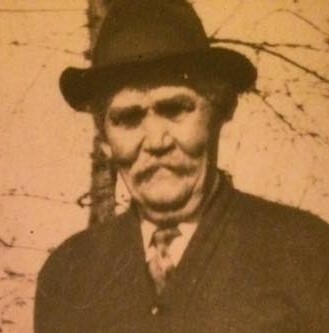 Patty Yanteh, Mrs. Edward Moran, and Mrs. Walsh, all of Auburn; three sons, John Murray, Yonkers, Joseph Murray, Auburn a*nd William Murray, Montezuma; a brother. John Scanclon, Yonkers; 12 grandchildren; one great-grandchild and several nieces and nephews. [S61] 1930 United States Federal Census, online , Year: 1930; Census Place: Montezma, Cayuga, New York; Roll: 1411; Page: 6A; Enumeration District: 43; Image: 888.0; FHL microfilm: 2341146. Mary his w 1834-1917 "Mother"
Surviving are his widow, Mrs. Catherine S. Murray; four daughters, Mrs. George Walsh, Mrs. Edward Hayes and Mrs. Patsy Yantek, all of Auburn, and Mrs. Edward Moran of Washington, D. C; three sons, John L. of Yonkers, Joseph F. of Auburn, and William M. Murray of Montezuma; nine grandchildren, and two nephews. Find A Grave Memorial# 75411300. [S74] The Citizen Advertiser, Auburn, NY, Nov. 19, 1959 p 8. [S44] Town of Montezuma Records, online http://web.archive.org/web/20020215005729/http://…, (Waybackmachine), Mooney, Carrie Apr 5, 1896 35 Fosterville Stephan Crofoot M. E. Crofoot. [S26] 1900 United States Federal Census, online , Year: 1900; Census Place: Montezuma, Cayuga, New York; Roll: T623_31077_4114487; Page: 8A; Enumeration District: 0034; FHL microfilm: 1241013. [S62] Ancestry.com, Social Security Death Index (n.p. : Online publication - Provo, UT, USA: Ancestry.com Operations Inc, 2011.Original data - Social Security Administration. Social Security Death Index, Master File. Social Security Administration.Original data: Social Security Administration. Social Security D, unknown publish date), Number: 098-18-7602; Issue State: New York; Issue Date: Before 1951. [S85] Montezuma Birth Records, online <http://web.archive.org/web/20001110085900/http://…>, Mooney, Henry Lewis (m) Apr 30, 1895 5-4 Montezuma Carrie A. Crofut (34) Fosterville Patrick H. Mooney (36) Farmer Springport. Katherine Daly married John Lynch. John Lynch married Katherine Daly. [S192] Unknown author, Gravestone Inscription (n.p. : n.pub., unknown publish date). [S31] The Auburn Citizen, Auburn, New York, Nov. 20, 1923 p 9. [S31] The Auburn Citizen, Auburn, New York, Jan. 30, 1930 p 15. Dorothy Lauer married Paul M. O'Connor, son of Michael Henry O'Connor and Mary Ellen Murphy. 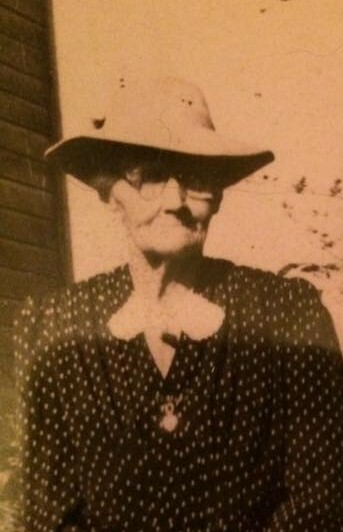 Genevieve L Jones was born circa 1905 at Port Byron, Cayuga, New York, USA.1,2,3,4 She lived in 1910 at Mentz, Cayuga, New York, USA; Age in 1910: 5Marital Status: Single; Relation to Head of House: Daughter.2 She lived in 1920 at Mentz, Cayuga, New York, USA; Age: 15Marital Status: Single; Relation to Head of House: Daughter.1 She married Matthew Dougherty, son of Matthew M Dougherty and Mary V. Connors. Genevieve L Jones lived in 1930 at Montezuma, Cayuga, New York, USA; Age: 25Marital Status: Married; Relation to Head of House: Daughter-In-Law; Relation to Head of House: Daughter.3 She lived in 1935 at Montezuma, Cayuga, New York, USA.4 She lived on 1 April 1940 at Montezuma, Cayuga, New York, USA; Age: 35Marital Status: Married; Relation to Head of House: Wife.4 She died on 8 September 1984 at Auburn, Cayuga, New York, USA. [S65] 1920 United States Federal Census, online , Year: 1920; Census Place: Mentz, Cayuga, New York; Roll: T625_1089; Page: 6A; Enumeration District: 36; Image: 1059. [S11] 1910 United States Federal Census, online , Year: 1910; Census Place: Mentz, Cayuga, New York; Roll: T624_928; Page: 5B; Enumeration District: 0047; FHL microfilm: 1374941. [S526] Unknown author, In Port, Location: Weedsport, NY (n.p. : n.pub., unknown publish date), Obituary of Diana M. Ramper, December 2002, p.8. Richard Wertman married Diana Machiea, daughter of Willard Machiea and Agnes Harmon, circa 1958.